Publicado el 1 octubre 2018 1 octubre 2018 de Octavio Islas. Fundador de la revista científica Razón y Palabra. Facebook has been under a lot of scrutiny over the past year with concerns over how the platform handles the security of its users’ information. Now, it has been revealed that over 50 million users’ personal information could be at risk as hackers on Facebook’s computer network exploited a bug in the ‘View As’ feature on the platform which enables users to view a profile as someone else. The bug allowed hackers to access tokens that keep users logged in when they enter their username and password, which the hackers can then use to break into accounts. Mark Zuckerberg has claimed that the social network is taking the breach extremely seriously, and officials state that the bugs that enabled the hacking have now been fixed. Facebook has been criticised in the past for its slow response to security issues, so Zuckerberg and co. will have to step up if they want to avoid Congress stepping in in the future. Got your phone next to you while you’re watching the telly? Of course you do – it’s 2018! Facebook has released findings that show viewers are increasingly likely to be paying attention to their mobile phones during TV ad breaks, which means that traditional TV ads are becoming less effective. As the public (particularly Gen Z and Millenials) become steadily more ‘blind’ to traditional advertising, brands will have to become smarter about using social advertising in conjunction with TV shows. It’s been announced that soon creators of Facebook Messenger bots will be able to add multiple personalities to their creations, so that one bot can be used for a number of different functions. Fear not, though – you won’t be chatting to a sweet and helpful persona one minute and then a sassy so-and-so the next – only one persona can be used by a bot at one time. Developers of Messenger bots will be able to assign different personalities for different use cases when brands interact with consumers. Facebook’s product marketing manager, David Cohen, stated that the platform hopes the update will open up new possibilities for how marketers send non-promotional messages. Ah, Stories, it seems like only yesterday they were just a twinkle in Zuckerberg’s eye. Now they’re so popular across social media platforms that Facebook has decided to roll out ads on its Stories platform as more and more brands have embraced vertical ad formats via Instagram Stories. Research by Ipsos showed that 68% of people used Stories “on at least three apps regularly”, and 62% of people became more interested in a brand after seeing it in a Story. You know when you ask someone where they got those dope shoes, and they’re all like “Oh, I can’t remember,” but you KNOW they’re lying and they just don’t want you to look as good as they do? It’s the WORST. But now, thanks to Snapchat, you can simply take a picture with your Snap camera, and, as if by magic, a card will appear showing the item (or similar) on Amazon, which users can then click on and buy. The feature will use Amazon’s machine vision tech to recognise artwork, logos, package covers and barcodes to identify items. Snapchat’s self-serve ad-buying platform is making Shoppable Snap ads available to all advertisers, allowing them to import product catalogues to create ads from already-existing assets, as well as introducing new advanced pixel targeting features. Snap’s new features will be of particular interest to brands looking to reach teen audiences, as data shows that the platform has 3.6 million more teen users than Instagram, and nearly 5 million more than Facebook. In a continued effort to eradicate hate-speech from the platform, Twitter has announced that it will be banning “dehumanising language”. While the term sounds somewhat vague, Twitter has defined it as “speech that denies people of human qualities through malicious comparisons to animals or objects,” and has stated that research links dehumanising language to real-world violence. Twitter has been making steps to boost “conversational health” on the platform, including the decision to ban Alex Jones from the site. Our hateful conduct policy is expanding to address dehumanizing language and how it can lead to real-world harm. The Twitter Rules should be easier to understand so we’re trying something new and asking you to be part of the development process. Read more and submit feedback. Since acquiring LinkedIn two years ago, Microsoft has slowly been integrating the professional networking platform into its products. The company has now announced plans to tie LinkedIn and Office products together more, as Outlook users will soon be able to co-author documents with LinkedIn contacts in Word, Excel, and PowerPoint. Business corporate directories will also benefit from the integration, as directories will be linked with LinkedIn so that contacts will appear in Outlook for emails and calendar invites. Go ‘head, make those connects! 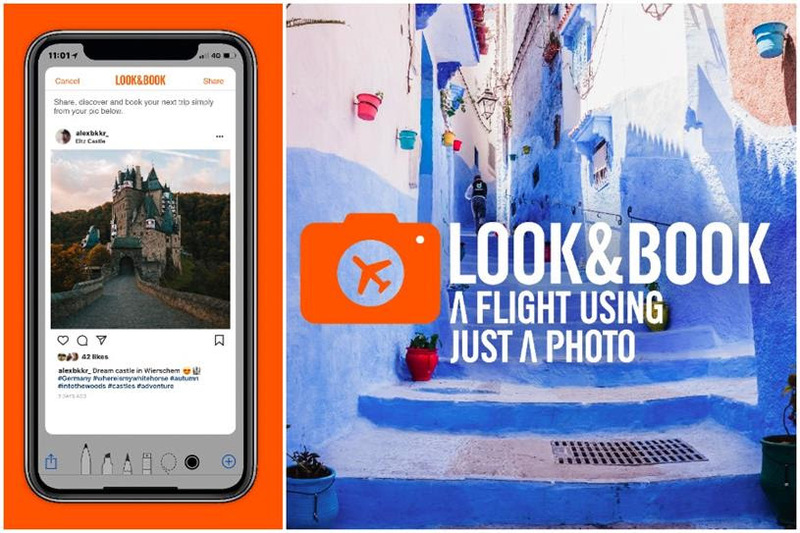 Everyone’s favourite orange-outfitted discount airline has revealed a Look&Book feature that allows customers to book holidays by uploading Instagram images into the EasyJet App. In an effort to add a slice of adventure to the usually tedious process of booking a flight, users can take a screenshot of their favoured location and upload it into the app. Image-recognition software will then use contextual clues to discover the location, and find flights for it. As Gen Z-ers and Millenials become more and more preoccupied with Insta-worthy holiday destinations, the feature is marketed as the chance for people to “make dreams a reality”. The post We Are Social’s Monday Mashup #416 appeared first on We Are Social.